CINCINNATI – The Kroger Co. (NYSE: KR) announced today it will phase out single-use plastic bags and transition to reusable bags across its family of stores by 2025. 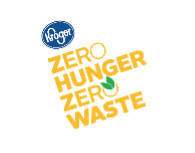 • Kroger’s Zero Hunger | Zero Waste Food Rescue Program sent more than 91 million pounds of safe nutritious food to local food banks and pantries in 2017. Kroger provided more than 325 million meals to families in need last year, in food and funds combined.